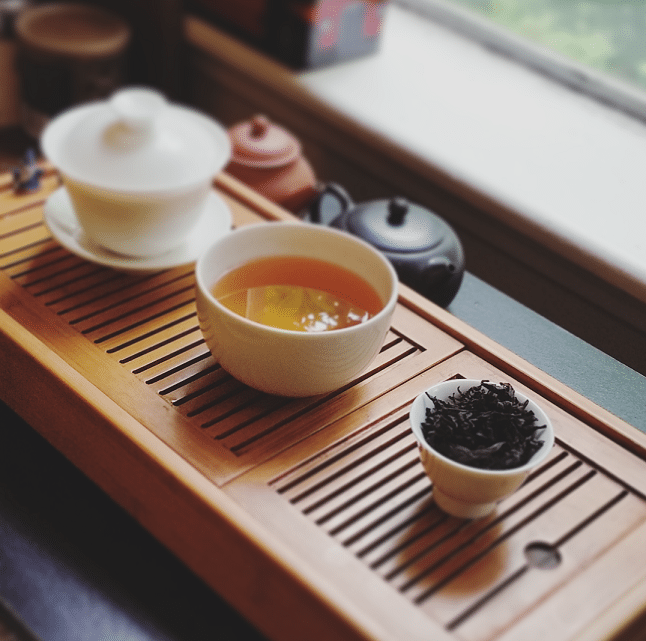 This interesting oolong derives its name—Tie Luo Han, which means “Iron Monk”—from old legends linked to a particular cave. I couldn’t even find a picture of this legendary cave, and—believe me—I looked. All that came up were Mindcraft photos. So, here’s a picture of the tea bushes themselves, instead. The “Iron Monk” moniker stems from old stories telling of monks that guarded temples from thieves with their martial arts prowess. After rigorous exercise, it is said that it was customary to have tea afterwards. Some monks plucked leaves from the Tie Luo Han mother bush near this legendary cave . . . and the rest is history. Or mythology . . . whichever. It kind of sounds like the intro scene in a wuxia flick. 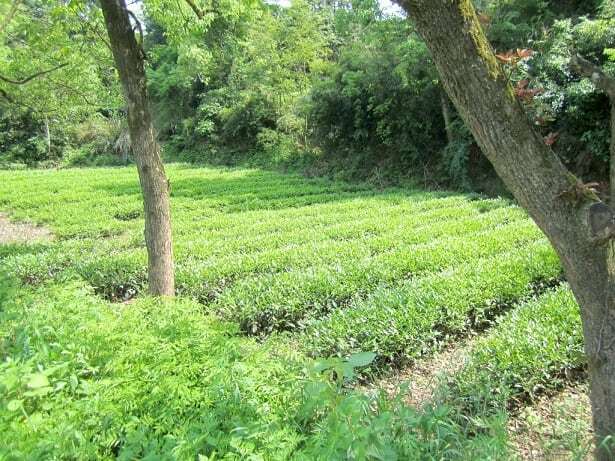 Tie Luo Han is considered one of the four most recognized Wuyi rock oolongs, and endemic of the region’s cliffy character. 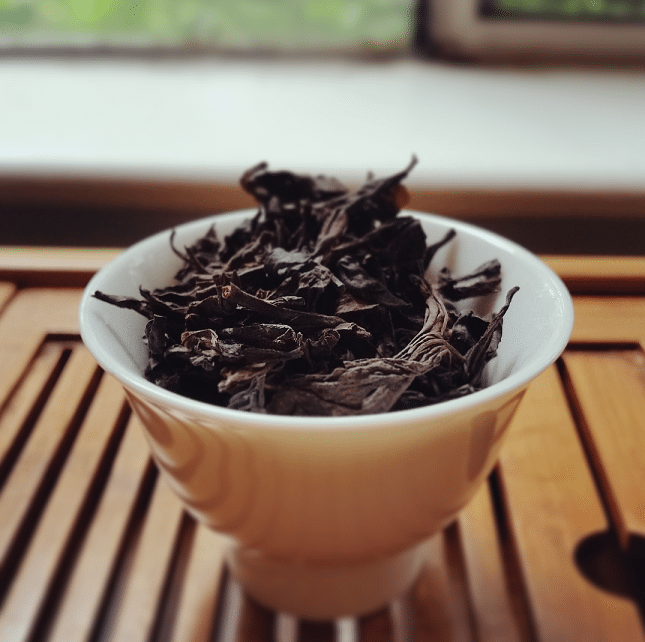 The leaves for this Wuyi oolong were a tad different from the last two I tried. The leaf cut was smaller, as opposed to . . . not being cut at all. They still had the dark-to-soot-brown appearance all Wuyi oolongs seem to have, but the color was more uniform. Where things really deviated from the norm was the smell. Aside from the roast-‘n-rocks smell they all start with, there was a strong presence of . . . raisins? That was new. When I thought of raisin-y nose-notes, I thought of Russian terroir—not China. The liquor brewed to a soft, light amber (like a lot of them do). The roasted raisin smell came through even stronger in the steeped steam. Flavor-wise, I was shocked—I tell ya!—to discover the same tart introduction that the Ba Xian had. It’s like someone used a Dan Cong oolong cultivar for both that tea and this. But that quickly gave way to sweetness in the middle that faintly reminded me of Mexican fried ice cream. Toward the end, it trailed off into flowers-‘n- forest-fire territory. Further infusions went from raisins to more charcoal-roasty, along with earthier notes. By the third steep, I tasted full-on spent tobacco. By the fourth? I think I grew more chest hair. 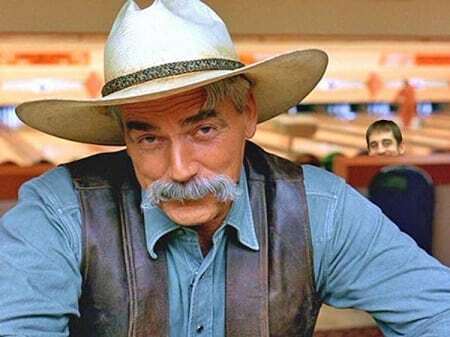 Definitely not one to be steeped Western-style, for fear of ending up with a voice like Sam Elliott’s. Or would that be bad thing? Now I can’t get the image of Sam Elliott in Buddhist monk garb out of my head. Man, that’d me an awesome movie. Well, this blog went off the rails right quick. You know you are frightening me sometimes? 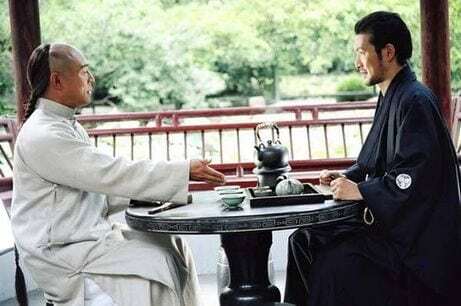 Or you need to become a scenarist high on tea for some really weird movies. 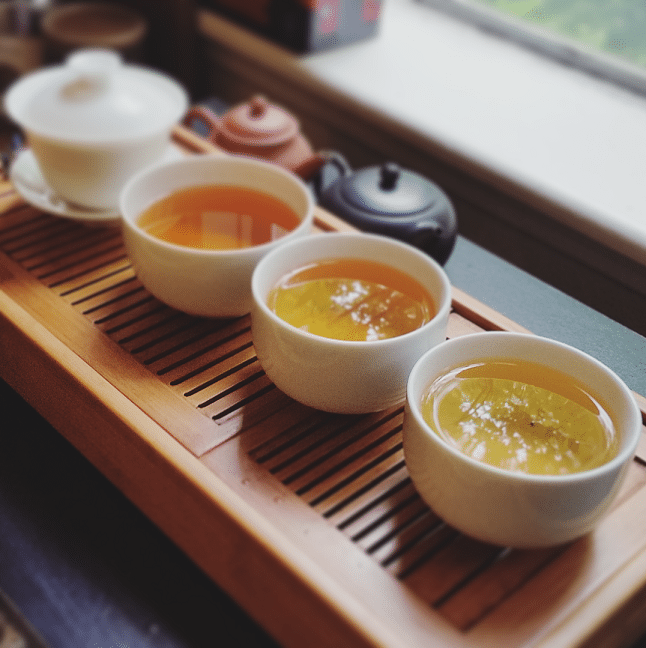 On a different note, Tie Luo Han is one of my favorite Wuyi oolongs, so glad to see it get its much needed moment in the spotlight.